It’s that time of the year again. Kids of all ages are back to school, hitting the books, and of course, getting hungry along the way. Their after school snack doesn’t have to be bland, and it definitely does not have to be complicated. Spruce up your child’s snack with these fun, easy and quick bagel ideas. 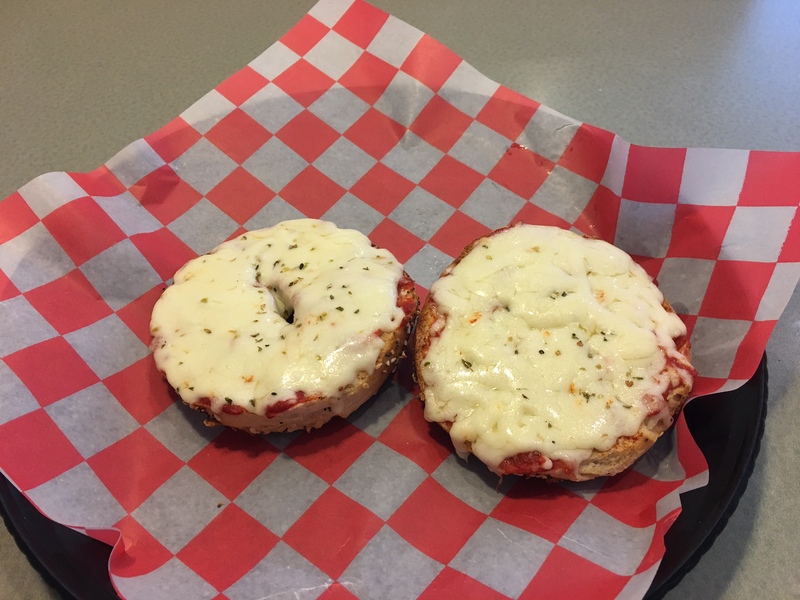 These pizza bagels, couldn’t get any easier! All you need are plain bagels, pepperoni, cheese and tomato. Just turn your oven on to the broiler setting, spread your bagel halves on a baking tray, spread tomato sauce on all of them and sprinkle them with cheese. A classic topping favorite is pepperoni, but you can top these delicious bagel halves with whatever topping your family will enjoy. Place the tray in the oven and cook until the cheese is melted. This cheesy snack is so good, even the parents will want to indulge. All you need are toasted bagels, a tablespoon of butter, a wedge of Brie cheese, a Granny Smith apple and a teaspoon of cinnamon. You’ll need to butter each half of the toasted bagel and then slice each bagel half into quarters. 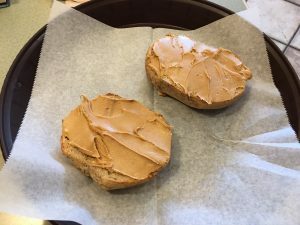 Then, all you’ll need to do is place a slice of Brie and an apple slice on each bagel quarter, and sprinkle with cinnamon for a burst of flavor! With delicious bagels, the combinations are always endless. Be sure to keep up with our bagel talk to learn more about delectable snacks like these. Bagels get a bad reputation for their carbs, and rightfully so, but did you know there are different ways you can turn your carb-loaded breakfast into a healthy snack? Whole grain bagels are extra fiber, which can help lower cholesterol and blood pressure. They also help redistribute fat in different parts of your body. You can use whole grain bagels as a base to add healthy toppings, and feel a little less guilty. Instead of cream cheese, try a topping such as peanut butter so that you’re getting all the yummy protein instead of extra calories. If this doesn’t sound enticing, you can also try a spread like avocado. Avocado is filled with vitamins, potassium, fiber and healthy fats. Finally, if you’re feeling adventurous, you could try lox. Lox is a smoked salmon, which is filled with protein and goes great with plain, low-fat cream cheese. Nuts, veggies, fruits, there are so many ways to make your bagel a healthy, guilt-free snack or meal. What healthy combination will you try next? 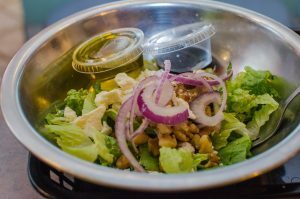 No matter what your diet regime is, salads are sure to meet your nutritional needs. With ingredients such as tomatoes, sweet peppers and the greens, you can’t go wrong with a leafy meal. The greens alone have the calcium, iron, potassium and B vitamins that you need for a balanced lunch or dinner. 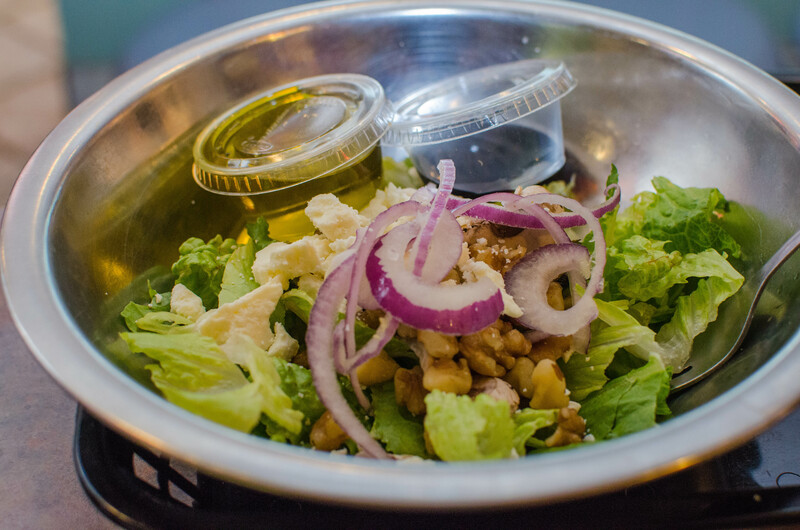 At the Bagel Bakery, we offer create-your-own salads so that you can satisfy all your nutritional cravings. You can choose your own toppings and customize it however you please. Come in to the Bagel Bakery and check out all of the different leafy combinations!